The programme will bring together industry experts, visionaries, thought leaders, heads of states, policy makers, academicians and corporate leaders to script Haryana’s digital transformation journey aligned with the Digital India vision Prime Minister, Narendra Modi. 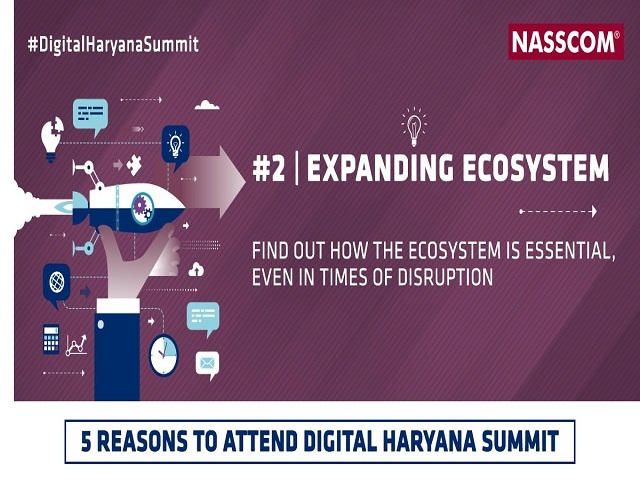 In order to transform Haryana into a digital hub, Government of Haryana and Nasscom will bring Digital Haryana Summit 2017. The event will take place on September 15 at The Leela Ambience, Gurugram. The event will help The event will help put together the building blocks of digital governance, innovation, and citizen partnership, provide a forum to discuss major development areas that will shape the future of Haryana, understand the challenges and opportunities posed by digitization, envision creating an environment that spells efficiencies and creates user-centric digital services to improve relationship between citizens, investors, corporations and the state of Haryana. Some of the key point to be discussed in the event include- innovative business models, new age start-ups, leverage digital skilling for future technologies and opportunities in growth markets like Haryana. Some of the speakers to be present are Chief Minister of Haryana, Manohar Lal, Industrial Training Minister, Vipul Goel, Managing Director, Hartron, Vijayendra Kumar, Principal Secretary, Industries & IT, Devender Singh, Anant Maheshwari, India Head,Microsoft, Sandhya Chintala VP & Execitive Director, NASSCOM SSC and others.